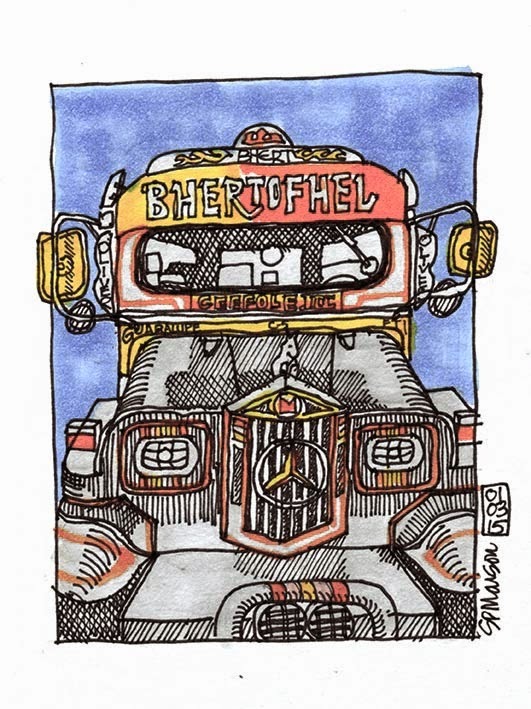 Having arrived stupidly early in Manila on Sunday morning, I had time to wander round in the afternoon in search of a jeepney to sketch. 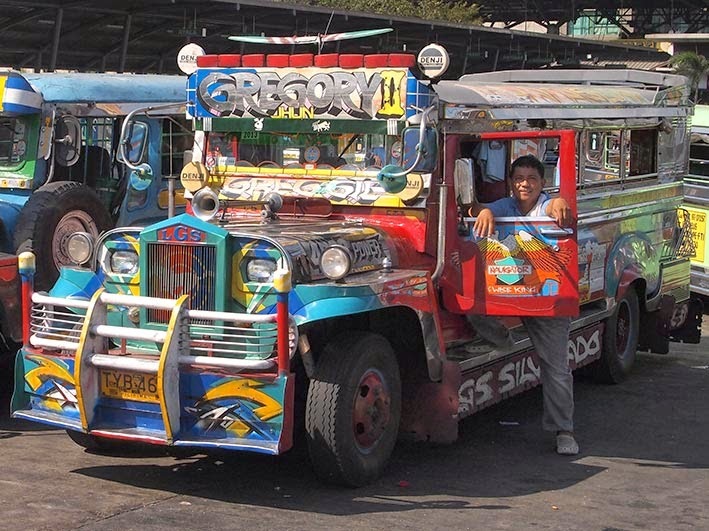 Fortunately I found several rows of the garish buses in the car park next to Market! Market! in Global City. 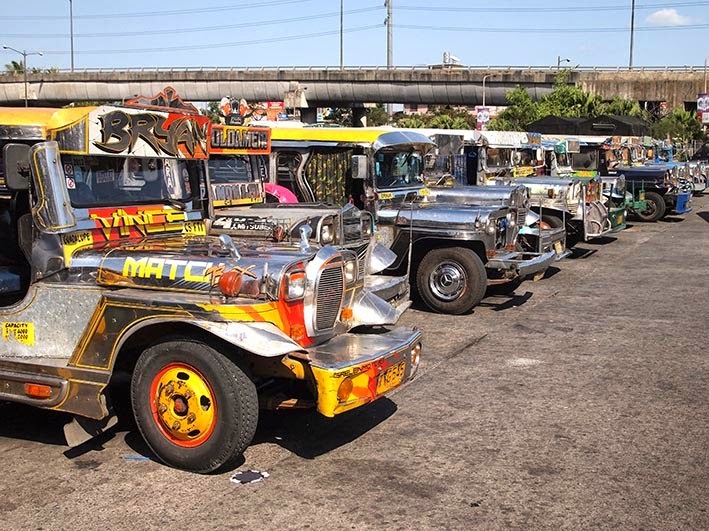 A few drivers were taking a naps in their cabins, while others tinkered with overheating engines or changed tyres which once contained tread. The only place out of the sun was in the back of an adjacent bus, but this plan soon proved unworkable as both my shade and subject moved out of the car park, despite reassurances from their drivers who said they were not moving. My scribblings were gaining much attention from the drivers who wanted to review progress or be included with their buses. After one of my subjects clanged out of the car park in mid-sketch, one chap even moved his vehicle directly in front of me so that I could sketch his bus. He too departed after a few minutes so I moved to another spot to try one more, less ambitious doodle. 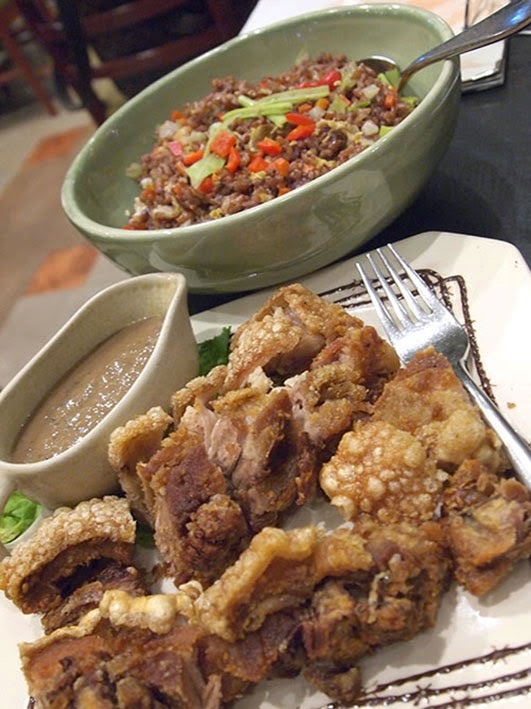 The rest of the week featured some hearty dining in a Filipino restaurant which served basic local dishes such as Kare-Kare (oxtail stew in peanut sauce), Puchero (beef stew) and Lechon Kawali (deep fried pork belly). The skin of the deep-fried lechon was wonderfully crispy like a delicate pork scratching.